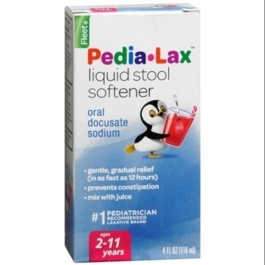 Do not give this product to your child if your child is presently taking mineral oil, unless directed by a doctor. - laxative products for longer than 1 week unless directed by a doctor. Ask a doctor before use if you have stomach pain, nausea, vomiting or noticed a sudden change in bowel habits that continues over a period of 2 weeks. Stop use and ask the doctor if you have rectal bleeding or fail to have a bowel movement after use of a laxative. These may indicate a serious condition.